How much will it be different in 2015? New academic work that has just been published shows that LD MPs have in the past enjoyed extremely large incumbency advantages on a level with those of US congressmen, This is said to have been worth between 5% and 15%. LAB and CON MPs, by contrast, had incumbency advantages of about 2% and 1% respectively. The report, published in Electoral Studies by Timothy Hallam Smith of the University of Nottingham, estimates that “these effects could have changed the outcome in as many as 25 seats in some elections and possibly cost the Conservatives the chance to govern alone in 2010″. 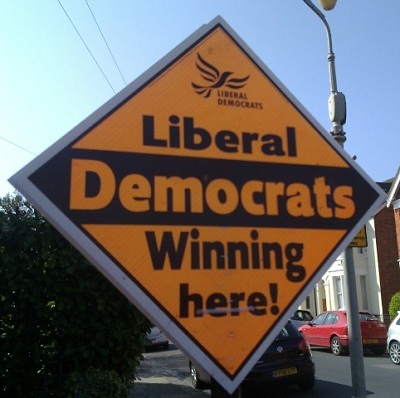 At the last general election, he suggests, Lib Dem incumbents are estimated to have had an own party incumbency advantage of 6.8%, whilst Conservatives challenging them faced a 5.1% penalty and Labour a 1.0% penalty. If this is correct then the 13 re-elected LD MPs who won with margins of less than 13.9% over CON and the 2 re-elected LD MPs elected with a majority smaller than 7.9% over LAB owe their survival to incumbency. What reinforces this, according to the paper, is that where LD MPs stood down, their seats were lost by smaller margins than the respective numbers above. Thirteen extra CON MPs would not have put the Tories above the 325 seat threshold but with Sinn Fein MPs continuing not to take their seats Dave would just about have been there. Certainly he would not have needed the coalition agreement. That was then – this is now and we have a totally different political situation. Will the incumbency advantage in 2015 be on the same scale as previous elections or will having been a party of government cause this to be partly or wholly eroded? My view, based on how the LDs have been faring in local elections in seats where they have MPs, is that there is still an advantage but we don’t know by how much. This will be the stuff of what I expect to be one of the liveliest 2015 betting markets.